Welcome back, we hope you had a great Christmas and would like to wish you all the best for the coming year! This term, literacy will focus on narrative and building a rich vocabulary. Maths will have a number focus, as well as looking at telling the time. The class will be learning about the Second World War from a child's perspective and studying the Home Front in topic. Science will focus on states of matter and how materials can change into solids, liquids and gasses. In addition, children will be learning the recorder this term. This term, children will be learning all about the Victorians and their great innovations, including steam trains and ocean liners! They will write diaries as if they were Victorian children discovering new and exciting things. To support the topic there will be school trips, one is to see Stevenson's Rocket! Maths will focus on number and place value and it is expected that children go on mathletics to consolidate in class learning. 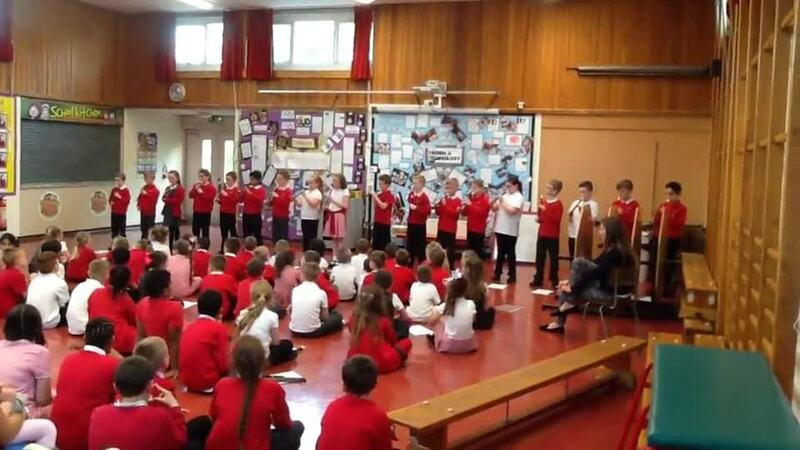 In science, children will be learning all about sound, which will link into our music work. The children will receive 3 pieces of home work each Friday. They will need to complete maths, literacy and spellings over the weekend and return it by the following Wednesday. P.E - The class will participate in sessions on a Thursday afternoon. They will require full P.E kit with appropriate footwear. For the first half term the children will be swimming, and therefore require a costume and towel. A reminder that children must not wear ear rings on swimming days and that any ear rings that are worn must be studs..
We identified lots of different shapes and had fun sorting them in different ways. We enjoyed solving today's problem of the day! Year 4 enjoyed studying and recreating the watercolours of artist J.M.W. Turner! Thank you for all your support #RedNoseDay2019! We love learning to play the recorder. Well done for the great costumes, happy World Book Day! Everyone had fun deciding when the famous designers that we are going to study this half term are from. We made ration books today in Year 4 to help us understand how hard it was to plan your weekly food shop during the Second World War. We made carrot cookies to understand how rationing during WW2 changed eating habits - would you like one? Check out our brilliant bar model skills! 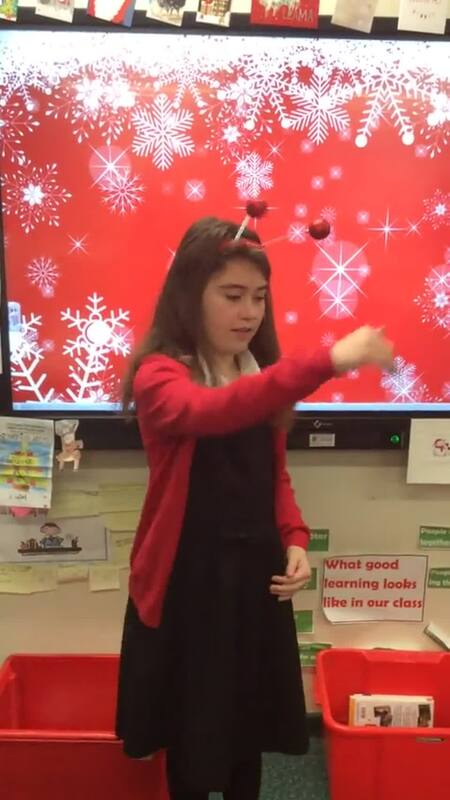 Year 4 have learned some Christmas songs in British Sign Language today!! Thank you parents and carers for a great turnout to our Christmas Crafts afternoon! Year 4 had fun learning about electricity with the plasma ball today! Year 4 have been learning about OS maps and symbols - check out our awesome maps! We had a great time at Beamish! Thanks to everyone for making such a fab effort with the costumes! As part of our World Cup fortnight, the children have learned all about Poland. We have explored the different cities of the country and researched all of the tourist attractions in the capital city Warsaw. The children have enjoyed learning all about traditional polish fairy tales and loved making the traditional Polish soup borscht. Over the last half term, the children have visited the care home to help the residents zoop up their zimmer frames. The children have had a fantastic attitude talking to the people and finding out all about their lives. In literacy the children have been looking at Gangsta Granny. They have loved every second so far and I have just found out there is a performance at the Theatre Royal in Newcastle over half term. This half term the children will be learning all be learning all about the Amazon Rainforest. We will be exploring the tribes that live within, the different layers and the species of animals. Can you complete Mr Wearmouth's quiz? 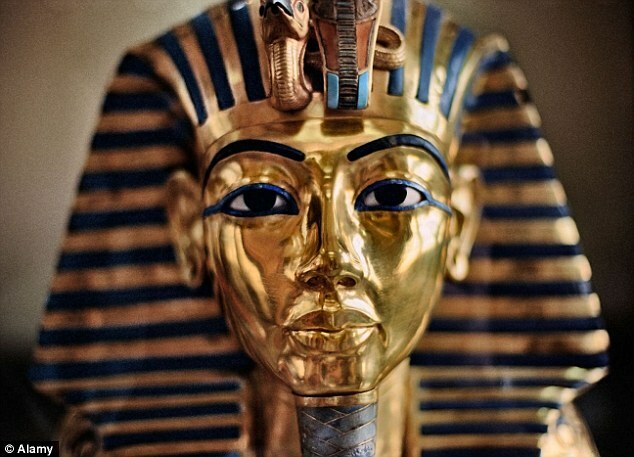 This half term, the children in Willow class will be learning all about the amazing Egyptians. We will be exploring the country, it's landscape and how it has changed over time. The children have planned the topic and want to learn all about the mummies, Pharaohs and the pyramids. Can you beat the Egyptian quiz master? In Science Willow class have been learning all about rocks and soils. We have explored different kinds of rocks and how they are formed. During class planning, the children decided they wanted to learn all about fossils and how they are made. In the weeks gone by, we explored this process and today we even got to make our own fossils. Stay tuned to find out how they turned out. As part of our North East history fortnight, the children have been looking at the history of Hartlepool. We have explored the bombing of the town in World War One, the HMS Trincomalee, which is now docked in the Maritime museum and explored how the town has changed over the years. The children enjoyed their trip and have been very interested in the tale of the monkey hanging. We will be learning about both Ancient and Modern Rome and comparing both to our lives in Britain. Click on the links below to discover more! Every Monday afternoon, we have been learning to play the recorder with Mr Barker . We are getting so good that we were able to show off our new skills for friends and family during assembly. Watch our video clip to see us in action...can you name that tune? We visited Newcastle Climbing Centre in Byker with Year 3 to end our Mighty Mountains topic. We were all extremely brave and everyone had a try...some even made it to the very top! We have been using different equipment to measure in our maths lessons; rulers and tape measures for length; litres and millilitres for capacity and grams and kilograms for weight. We are also beginning to convert measurements by scaling up and down. In our science lessons this term, we have been discovering more about sound. We made telephones using paper cups and string and saw how the sound travels through the string when it is pulled tight. This makes the string vibrate which creates the sound! We had a great day at Beamish where we learned even more about The Victorians. We had a school lesson by a strict Victorian teacher, explored what it was like down the mine and visited the different shops from The Victorian period.